Prime Minister Imran Khan recently unveiled a new and ambitious visa policy promoting tourism in Pakistan. Tourism was one of the industries that had suffered due to the deteriorating security situation in Pakistan, however, with the improvements in security scenario, better infrastructure, and promotion of tourist friendly places through internet and social media, the tourism industry was given a big boost. According to Pakistan Tourism Development Corporation, in 2017 alone, 1.75 Million tourists visited Pakistan with 30% travelers from within Pakistan. Similarly, according to World Travel and Tourism Council, revenue from tourism contributed around $19.4 Billion in 2017. This is especially important for a country facing Current Account Deficit (CAD) problems. 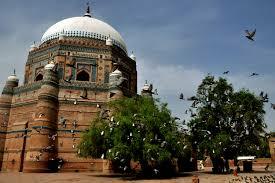 This complex is a legacy of Pakistan’s rich cultural and religious past. 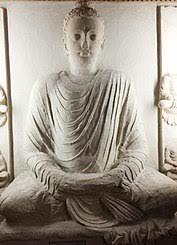 Located in Potohar Plateau, near KallarKahar in the famous Salt Range at an elevation of 2000 feet, the site contains Satgarah or seven temples, medieval sanctuaries and a Buddhist stupa surrounded by a lake considered sacred by Hindus. Dating back to pre-historic Mahabharata era, Katasraj Temple is one of the oldest Hindu devotional places in Hindu mythology. The ruins of an ancient urban city, MohenjoDaro, are rated to be part of one of the oldest civilizations of human existence. 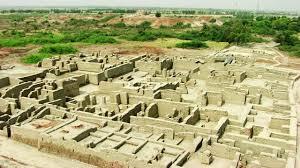 Situated on the west bank of Indus River in Sindh, MohenjoDaro exposes the earliest human settled life that flourished from third to middle of the second millennium BC and formed part of the Indus Valley Civilization. Creatively planned urban city shows MohenjoDaro containing main thoroughfares some 91m wide and crossed by straight streets that formed blocks 364 m in length and 182/273m in width. The city’s mud-brick walls and baked brick houses were designed to ensure safety of its occupants so that in times of earthquakes the structures collapse outwards. Judging from the remains, the Great Hall was probably the most striking of its structures, comprising an open quadrangle with verandas of four sided galleries and rooms at the back, a number of halls, and a large bathing pool perhaps used for religious or ceremonial bathing. Maharaja Ranjit Singh was also the first and the last king of independent Punjab. 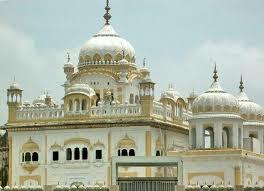 His Samadhi or tomb was built at the site he was cremated, and its architecture is a combination of Sikh, Hindu and Muslim elements. The exterior of the tomb is painted white with a touch of gold on the peripheries, whereas the inside is decorated with multiple icons and holy figures of Hindu and Sikh traditions. The ashes of the Maharaja Ranjitare kept in a lotus shaped urn in the center of the tomb. 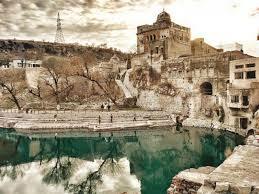 The site is a regular attraction for visiting Sikh pilgrims from abroad. Located in Islambad on Murree Road, this park offers one of the most serene surroundings. 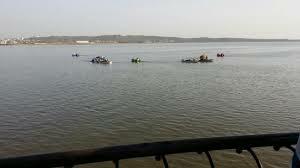 The park features boating, fishing, B.B.Q, swimming, rock climbing, paint ball, and other sports facilities. The park also features one of the largest aviary in Pakistan. However, this list is by no means exhaustive and provides only a glimpse in the unimaginable beauty that Pakistan holds. Pakistan is a legatee of the cultural heritage of one of the world’s oldest civilizations, lush green mountains, snow-capped peaks, rolling plains of Punjab, the cultural richness of Sindh, deserts, and beautiful valleys. The only thing old fashionedabout Pakistan is hospitality and is ready to welcome all. Pictures: A courtesy of Directorate of Electronic Media and Publications (DEMP), Pakistan Television Corporation (PTVC), and Pakistan Tourism Development Corporation (PTDC).